The substantial, if little known, history of arts publishing in Los Angeles includes some surprising moments. 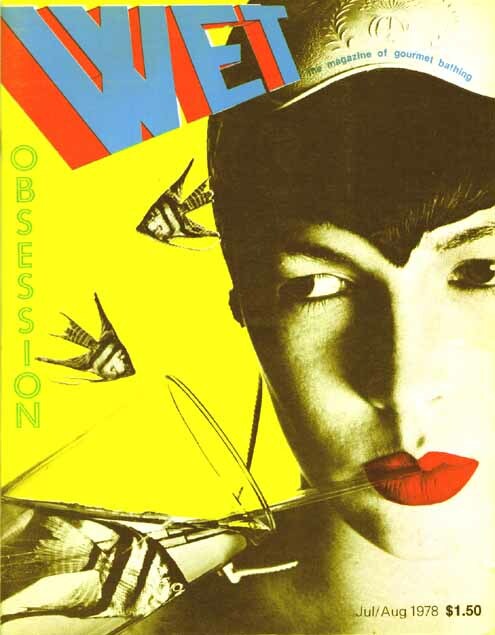 WET: The Magazine of Gourmet Bathing was founded in 1976 by UCLA Architecture graduate and self-described bath artist Leonard Koren. Subject matter initially included anything remotely related to bathing: sweat, yoga, toothpaste, hot tubs, ecstasy, and mudbaths; by the end of the first year this expanded to “gourmet bathing and beyond.” The eclectic list of WET’s contributors included Matt Groening, Leonard Cohen, and Eve Babitz. The magazine’s recurring sections included Dribble, Places, Non-Human Life Forms, with features on Brian Eno, Laurie Anderson, William S. Burroughs, Ed Ruscha and Frank Gehry. To glimpse this vision from an L.A. past, check out this extensive cover gallery.